Instead of waiting at an emergency room to be examined, many patients are now opting to have X-rays taken in their homes. Especially convenient for the elderly or patients with significant illnesses, portable X-ray machines can take as little as 20 minutes and may even be able to digitally transmit information to a radiologist. Portable X-ray machines have been available for some time. Generally, they have been used in hospitals to perform radiography on patients who are in such critical condition that they cannot easily be transported to the radiology department. These machines have also been used in the emergency room when a patient is being treated for traumatic injuries or in the operating room where patients may be undergoing various surgical procedures. In some cases, it is difficult for patients at home to travel to the hospital, which has led to an increased use of portable X-ray services, according to a recent article from Reuters. The option may be particularly helpful for elderly patients, since a trip to the hospital could be risky. Alternatively, there are other patients who wish to be treated in the familiarity and comfort of their own homes. Having an X-ray taken at home requires a doctor’s prescription. To perform the radiographic studies, a portable machine must be transported to the patient’s home, along with a trained and certified technician, according to Reuters. This is important to ensure a quality exam is taken, while protecting other people who may be in the home from unwanted exposure. For this level of service, an exam may cost about $300 without insurance coverage. 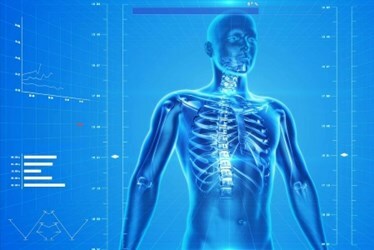 Other companies use digital transmission to send the X-ray images directly to the radiologist, according to Reuters. This increases the efficiency of the approach. Despite the apparent benefits that portable X-rays offer, however, there may be some drawbacks. Some experts feel that portable exams offer a much lower quality than similar exams performed in a traditional X-ray department, according to Reuters. Improving convenience and eliminating trips to medical facilities is an accelerating trend in the medical device space. Recently, a home lab system was introduced that combines wearable tech and nanoscale biomarker testing.